Mt Gravatt Conservation Reserve is full of surprises. 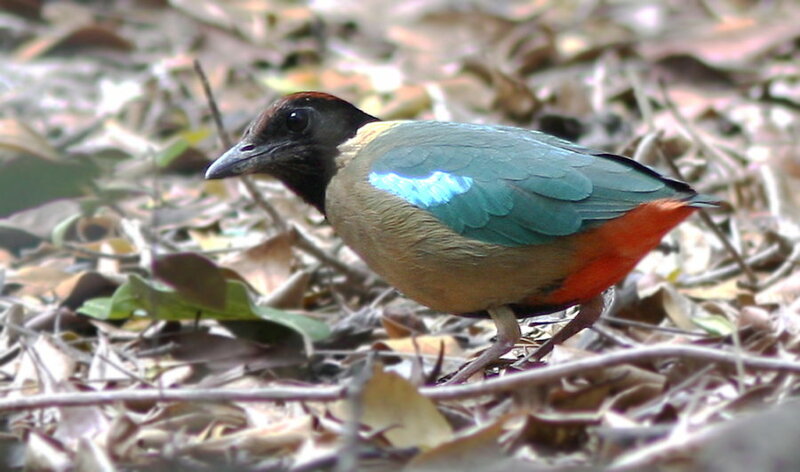 Koalas, Echidnas, Gliders and now a Noisy Pitta Pitta versicolour has been sighted. Noisy Pittas, one of my favorite birds, are normally found in rainforest areas like Lamington National Park so it is great to have a sighting right here in our backyard. 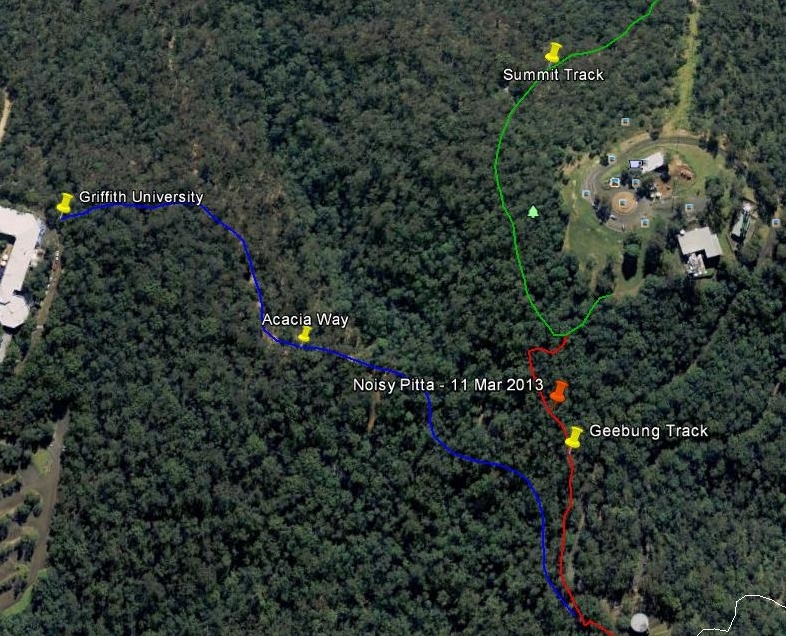 Pieter saw the Noisy Pitta on the Geebung Track just before the junction with the Summit Track (click to enlarge map). Pieter knew Pittas are a very shy so he approached very carefully and was able to observe the bird doing a “broken wing display“, used to distract you away from a nest. Local BCC Ranger, Craig, reports that he has only seen two Noisy Pittas in twenty years of being a Ranger in the area. So please keep an eye out, and camera ready, when you are walking because it would be great to get more reports of these beautiful birds in the Reserve.